Nothing but smooth sailing ahead! 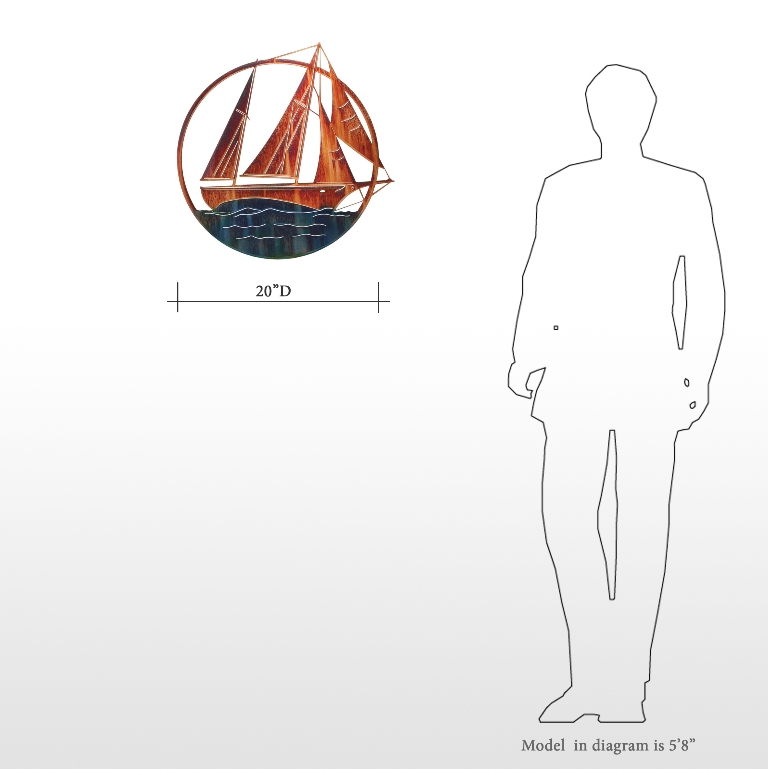 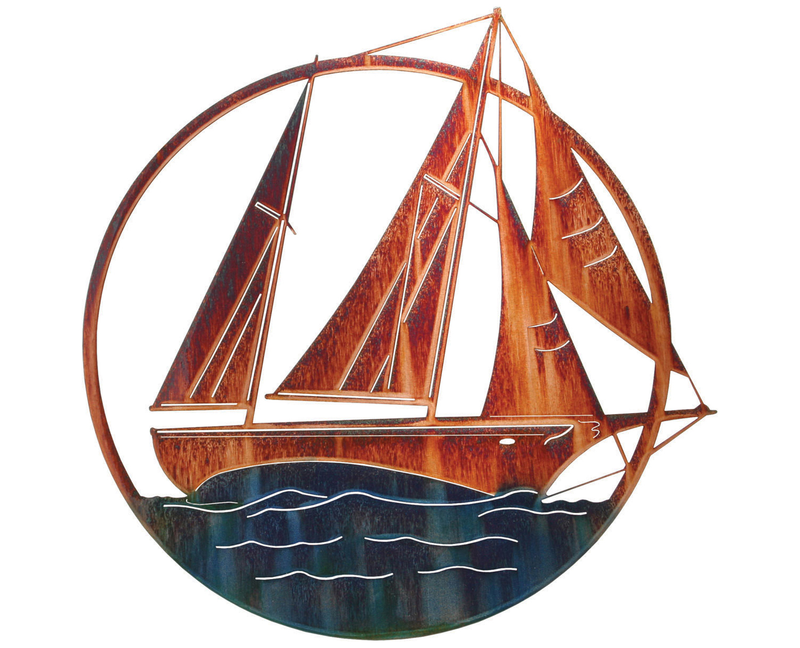 The Sailboat on Open Water Metal Wall Sculpture depicts a sailboat, its sails hoisted high, sailing upon calm, peaceful and oh-so blue waters of the ocean. 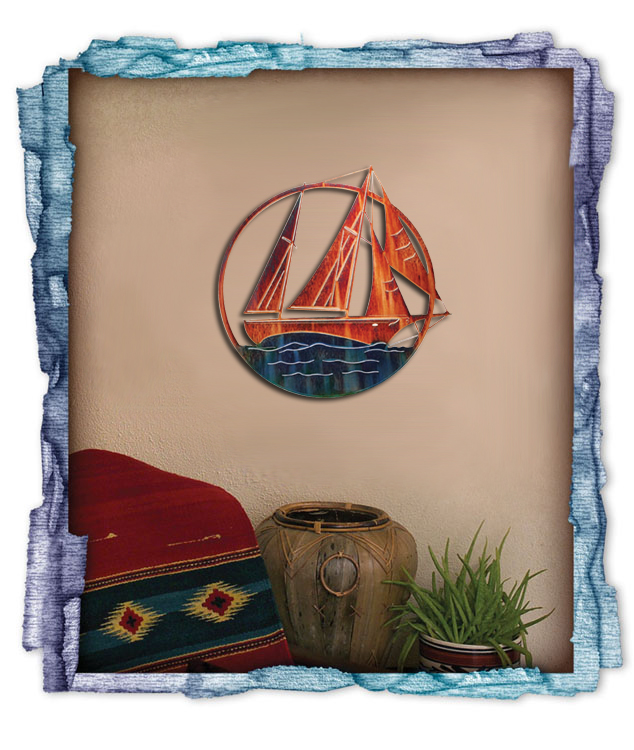 This fun and lighthearted wall art not only pays homage to your love of the open water, but also to your good decorative taste for your nautical decor or for the sailing enthusiast!